The President Addo Dankwa Akufo-Addo has congratulated Isaac Dogboe for successfully defending his WBO Super Bantamweight title. Dogboe made light work of Japanese boxer, Hidenori Otake, with a first-round knockout to make a successful defence of the title he won in April. The President in a tweet commended Dogboe and wished him luck in his subsequent bouts. “Warm congratulations to the Royal Storm, Isaac Dogboe, on the successful defence of his WBO Super Bantamweight title, against Hidenori Otake. The Ghanaian people are proud of him, and wish him the very best of luck in the future,” the tweet read. Twitter Ads info and privacyThe Vice President, Dr Mahamudu on Sunday also sent a congratulatory message to the 23-year-old boxer who has been tipped to be next Azumah Nelson. In a Facebook, Dr Bawumia noted Isaac Dogboe is great at his sport and that Ghana will continue to be proud of him. 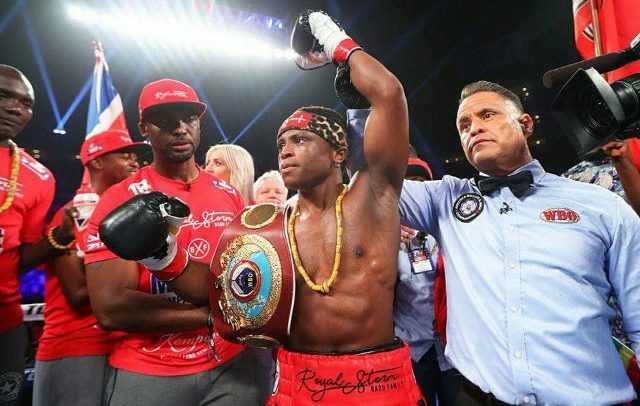 The post read: “I congratulate Isaac Royal Storm Dogboe for defending the WBO Super Bantamweight title against Hidenori Otake of Japan with a technical knockout in Round One. Isaac Dogboe is now set for a unification fight with a yet-to-be-named opponent. On Sunday, Vice President, Dr Mahamudu also sent a congratulatory message to the 23-year-old boxer who has been tipped to be next Azumah Nelson. In a Facebook, Dr Bawumia noted Isaac Dogboe is great at his sport and that Ghana will continue to be proud of him. IsOn Sunday, Dr Mahamudu also sent a congratulatory message to the 23-year-old boxer who has been tipped to be the next Azumah Nelson. In a Facebook, Dr Bawumia observed that Isaac Dogboe is great at his sport and that Ghana will continue to be proud of him. Dogboe is now set for a unification fight with a yet-to-be-named opponent. Meanwhile, it has emerged that Dogboe took home $65,000 for his title defense on Saturday.